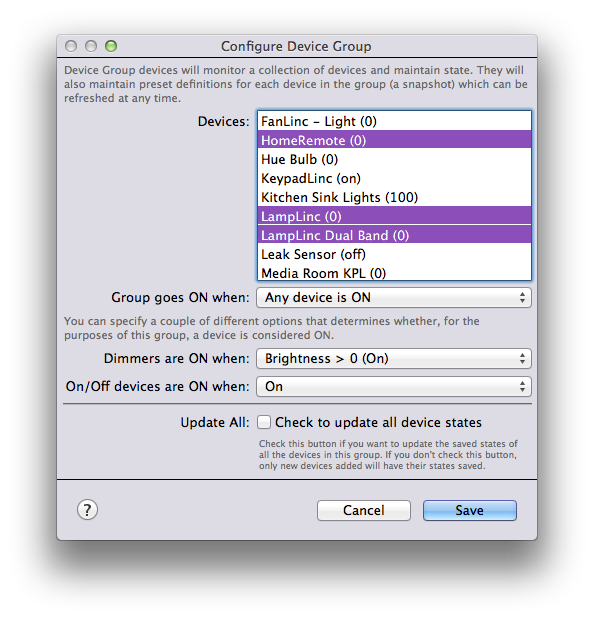 Indigo 7 provides a Virtual Devices Interface type that provides users with several new device types, each discussed below. If you want to use Virtual Devices, make sure to enable them by selecting the Interfaces→Virtual Devices→Enable menu item. Indigo will treat the resulting group as a single sprinkler. 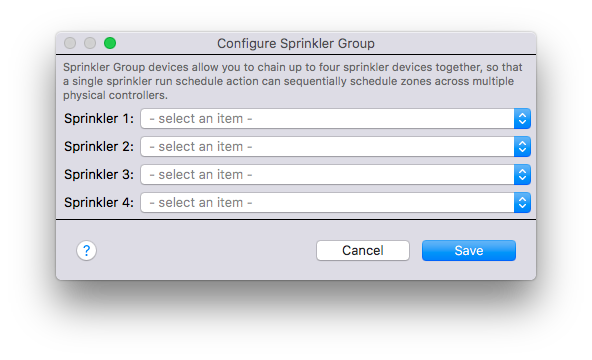 You can create standard sprinkler schedules for it and never have to worry that there might be multiple sprinkler controllers running at the same time. For the Indigo 7 GM release, we've only implemented Action Groups, but in future releases we may add other execution models. Finally, your virtual device can maintain a state if you like. But, Action Groups can't directly manipulate state you say, right? Well, that's true. 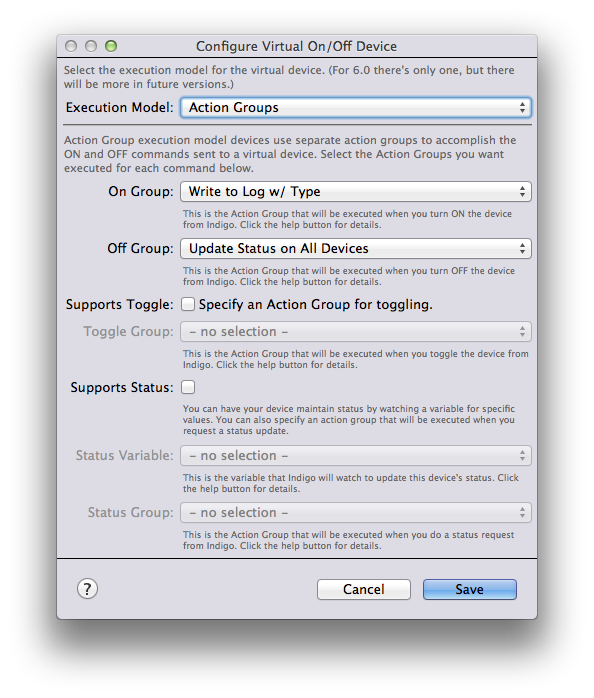 However, Action Groups can modify a variable. So, we've allowed you to select a variable and we'll monitor that variable for any change. If the value of the variable becomes “on” (or “true”, “open”, “1”, “yes”, “enabled”), we set the state of the virtual device to on. If the variable becomes “off” (or “false”, “closed”, “0”, “no”, “disabled”), then we set the state to off.